Environmental impact of end of life products: plastics, chemicals, vehicles, agri-food marketing. direct recycling and recycling (upcycling or upcycling) and reuse of good items for the trash! Russia produces nearly 70 million tons of waste a year, according to estimates by the environmental organization Greenpeace. Selective sorting exists only in about a hundred Russian cities and most waste has been accumulating for decades in increasingly polluting landfills. Moscow suffocates. The waste accumulating in landfills, with their unpleasant odors and toxic waste, is insupporting the inhabitants of the periphery of the Russian capital. And incineration, a solution brandished by the authorities, is far from satisfying everyone. According to Greenpeace, over the last ten years the volume of waste in Russia has increased by 30%. Only 2% of this waste is incinerated and 7% recycled, while the rest is stored in landfills. "Russia seems to realize the prediction of the physicist Niels Bohr that humanity will die by suffocating under its own waste," says a head of Greenpeace-Russia, Alexei Kisselov. In the vicinity of Moscow, 24 dumps have been closed in the last five years because they had reached maximum dimensions, while 15 others - huge stinking mountains in open skies - continue to receive new masses of polluting waste unsorted. "Most were created 50 years ago, without any gas treatment technology and wastewater" that ensue, recognizes the local Ministry of Ecology. Faced with this ecological disaster, the Russian government has promised to build five waste incineration plants: four in the Moscow region and one in Kazan, on the Volga. The first two plants, capable of incinerating 700.000 tons of waste per year and producing each 70 megawatts of electricity, must be completed in 2021 at Voskressensk, in the south-east of Moscow, and at Naro-Fominsk, in the Northeast. "The aim is to stop waste disposal in landfills," says Andrei Chipelov, director of RT-Invest, which is developing the project. 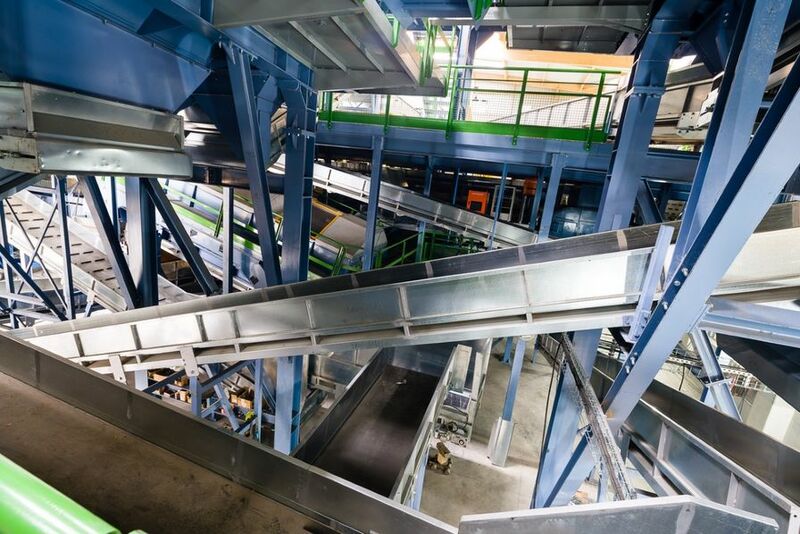 Thanks to an investment of 15 million euros Suez has built in Limeil-Brevannes (Val-de-Marne) a new highly automated sorting center that will process 60 000 tons of waste per year. The new Suez sorting center in Limeil-Brévannes will sort 60 000 tons of waste per year. The Suez group has inaugurated the 15 May, its new generation sorting center Limeil-Brevannes (Val-de-Marne) which represented an investment of 15 million euros and employs 90 employees according to Marie-Ange Debon, director France, Italy, Central and Eastern Europe of Suez. The new center has a processing capacity of 60 000 tons of waste per year, twice as much as the equipment it replaces and which was installed on the same site. Already in full charge only a few months after commissioning, it can sort 13 different streams from household waste from a population basin of about one million inhabitants. The establishment can also handle the flows from the Parisian guidelines set up by Suez as part of the Réco project aimed at recovering plastic bottles and cans. Once sorted, the different types of waste (paper, wood, cardboard, metals, plastics, etc.) are oriented towards specialized recovery sectors. "The characteristic of this equipment is to be innovative and very structured with a process very close to industrial processes," says Marie-Ange Debon. Thus, the technologies and equipment used (optical sorting, sorting by size and weight, sorting by magnets, etc.) make it possible to have a very high level of automaticity and speed. The financing of the new plant was supported by Ademe and Citeo (a company born from the combination of Eco-Emballages and Ecofolio). 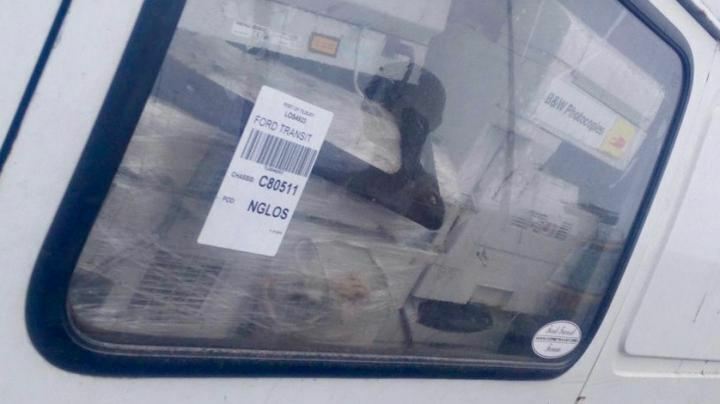 An 2 study of used electrical and electronic equipment (UEEE) sent to Nigeria, mainly from European ports, revealed a serious problem of non-compliance with international and national rules governing these shipments. In recent months, the Baltimore-Washington Metropolitan Recycling Plant has a problem: it has to pay to get rid of the paper and plastic it sorts, instead of selling it. Because China does not buy anymore, saying that they are too "contaminated". The 900 tons of recycling spilled by 24 dump trucks on 24, five days a week, on conveyor belts at the Elkridge plant, one hour from the US capital, are certainly not clean. In an infernal mechanical din and a cloud of brown dust, dozens of gloved and masked workers, mostly women, remove from their expert hands a bazaar of rubbish, clothes, wooden objects, cables, tree branches. and the obsession with recyclers: plastic bags, which are not supposed to go into the bins to recycle because they get tangled in the machines. The goal is to "decontaminate" to the maximum, that is to say on the one hand to strictly separate recyclables from non-recyclable waste, on the other hand to ensure that the final batteries of plastics, paper or cardboard contains no other material. "We even had to slow down the machines and hire more people" to better decontaminate, says the manager, Michael Taylor. At the end of sorting, large cubes of compacted waste (paper, cardboard, plastics ...) are produced. This waste has been purchased for decades by companies, mainly in China, who cleaned, milled and re-processed raw materials for industrialists. These importers closed their eyes when the plastic balls were too dirty or were not "pure" enough. China, last year, bought more than half of the recyclable waste exported by the United States. Globally, since 1992, 72% of plastic waste has ended in China and Hong Kong, according to a study published in Science Advances. But since January, Chinese borders have closed to most of the paper and plastic, a consequence of a new environmental policy in Beijing ... Chinese leaders saying they want to no longer be the trash of the planet, or even its dump. For the rest, including metal or cardboard, Chinese inspectors have set a contamination rate of 0,5%, too low for current US technologies that can not sort the waste so accurately. The industry expects that almost all waste categories will be rejected by 2020. In Elkridge, the factory still sells its PET (plastic bottles) to a buyer in South Carolina, and its carton abroad. But mixed paper and plastic are worthless: it pays subcontractors to take them back. Elsewhere in the United States, recyclers have resolved to a taboo act: they no longer sort the plastic and paper, which end up in landfills. "Nobody wants to say it out loud because no one likes to do it," says Bill Caesar, head of WCA, a Houston-based company. The American giants Republic Services and Waste Management have acknowledged having done punctually, as in Oregon. Small towns, especially in Florida, simply canceled the recycling collection. The other importing countries, Indonesia, Vietnam or India, are unable to absorb the tens of millions of tonnes that China imported. And few American industrialists have the technology to process these materials. "China has given the industry too little time to adapt," says Adina Renee Adler of the Institute of Scrap Recycling Industries, a large professional federation. "We will soon have so much inventory that we will have to put more and more in landfills if we do not find new markets," said Darrell Smith, president of the National Waste and Recycling Association. The problem is beginning to be felt in cities when renegotiating municipal contracts. Especially since many cities have ambitious recycling targets - like Washington, which wants to go from 23% of household waste to 80%. The capital is already paying 75 dollars to recycle a ton, against 46 dollars for garbage, which is burned to generate electricity. "There was a time when it was cheaper to recycle but it's not the case," says Christopher Shorter, director of public works in Washington. "Recycling is going to cost us more and more money," he warns. To avoid financial penalties, the city wants to "educate" its citizens so that they stop putting in the blue bin the bad waste, such as plastic bags. To reduce the amount of waste to be recycled or burned, she is considering the collection of organic waste, with a future third bin, and the construction of a composting plant. And she thinks to make pay the inhabitants to the weight of waste. Even with these measures, Bill Caesar, in Houston, warns all Americans: it will soon pay more for "the privilege of recycling". China, which blocks since January 2018 the import of some waste, such as plastics, paper and textiles, will further extend the list of banned products from 31 next December. And this, at the risk of aggravating the accumulation of materials to be recycled in rich countries. According to an official document mentioned on Monday November 19, by the agency China New, thirty-two types of solid waste, ranging from scrap stainless steel to wood, auto parts and ships, can no longer be imported into China. the country as of the end of the year 2018. This document comes from the Ministries of Environment and Trade, the National Commission for Reform and Development, and Customs. In April 2018, the Ministry of the Environment had announced that the next bans would intervene in two stages: by 31 December for 16 product categories, by the end 2019 for 16 others. To stop being the world's leading destination for recycling, Beijing has already closed the door last January to twenty-four categories of solid waste, including some plastics, paper and textiles, much to the chagrin of some US and European recycling companies forced to store waste pending a solution. As a result, its imports fell during the first ten months of the year, while China, hungry for raw materials, has been absorbing Western waste for decades. Plastic waste, paper and imported metal totaled 17,27 billion tonnes over the January-October period, down from 51,5% over the first ten months of 2017, according to Customs figures recently cited by China News. Uh ... that's more than 35 billion tons of waste imported in China in 2017? Or ... uh ... about 100 million tonnes ... PER DAY? The rate of waste recycling in the European Union was around 55% in 2016, according to the latest Eurostat report. In 2010, it amounted to 53%. Eurostat yesterday published its latest study on waste recycling in the European Union yesterday, Monday, 4, which highlights an increase in rates from year to year. Overall, 55% of the waste was recycled in 2016 against 53% in 2010, excluding the treatment of mineral waste. Construction and demolition waste is at the top of the recycling rate with an average of 89%, followed closely by the general packaging of which 67% is recycled (against 64% in 2010). The recycling of plastic packaging has, for its part, made a big leap forward: in 2016, it reaches a rate of 42%, almost double that in 2005 (then 24%). While these figures are rather encouraging, the study points out the low reuse of recycled products: "only 12% of the materials used in the EU in 2016 came from recycled products and recycled materials, thus avoiding the use of recycled products. extraction of primary raw materials, "reads the press release. In addition to the Eurostat report, the European Commission has also published a stocktaking report on the circular economy action plan set up in 2015. The document will serve as a support for the annual conference of the platform of European actors in the circular economy, planned in Brussels 6 and 7 March 2019. Christophe wrote: Uh ... that's more than 35 billion tons of waste imported in China in 2017? The weight of goods transport by sea in the world is 9,1 billion tons, the equivalent of almost 289 tonnes transported via the seas every second (meter). The tonnage transported increased from 2.5 billion tons in 1970 to 8.4 billion tons in 2010. So the figure of 35 billion tons of waste is completely fanciful since it represents 35 / 9,1 = 384% of the world's total tonnage! It is still crazy that AFP confounds billion and millions! Do not be fooled by these tokes, intoxicants, misinformation !! Biodegradability layers biodégradables..après 7 years! Back to "waste, recycling and reuse of old objects"